English Electric was an interesting aircraft company known only for the world beating Canberra jet bomber and the Lightning Super-Sonic Fighter. The Canberra was the first reliable jet bomber and proved to have a very long service life. It was used by the RAF and the USAF, with license-built modified machines being built in the US by Martin. The Canberra was a great export success, suggesting what might have been had the Lightning not been delayed by the politicians. 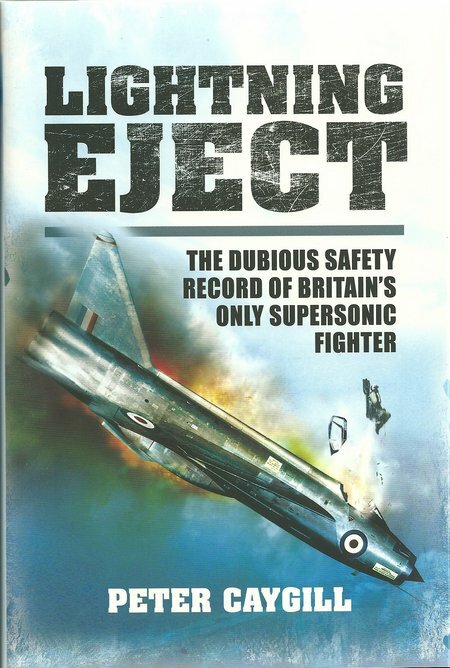 DESCRIPTION: It seems incredible that the English Electric Lightning fighter was being designed during WWII to fly at twice the speed of sound when no one had yet managed to fly at the speed of sound and the available knowledge had identified a number of challenges to crossing through the sound barrier. Political lethargy, and the struggle to bring the British economy out of near bankruptcy and the mis-management of the post-War Atlee Government, meant that the English Electric designs progressed slowly, but the original concept remained and proved to be unique and reliable. As with many other ground-breaking British designs, it was delayed to the point where its original huge advantages were being over taken by other countries, notably the US and the USSR. It was not until 1960 that the Lightning was to enter RAF service and eventually service with the Royal Saudi AF and the Kuwait AF. Had political delays not caused these significant delays, the Lightning would have been a military wonder and secured many export sales. The most comparable aircraft was the Lockheed Starfighter that began design some time after the Lightning, but shared many of the strengths and weaknesses of the British aircraft. In German service, the Starfighter was known as the “Widow Maker” because of the very high accident and fatality rate. The author has looked carefully at the Lightning’s safety record, which was very poor. Much of the design and technology was ahead of its time and consequently lacked some of the knowledge that contributes to a good safety record, but the aircraft was also very complex. When it flew, it was a delight to its pilots and achieved an amazing climb rate, being primarily conceived as a point defence interceptor. That in turn meant that it had very short legs and had to have a belly tank added to give it some extra range. Where other designs for twin engine jets placed the engines side by side, the Lightning carried one engine above the other and employed a single nose air intake for the engines, with the radar scanner mounted in the intake’s shock cone. The wing design was unique and the thin sharply swept wings provided little space for all the things that aircraft traditionally cram into the wings, like undercarriage and fuel tanks. The Lightning had an extensive technical library and spent many hours in maintenance for each hour in flight. In operation, it carried a limited armament of two 30mm canon and two Firestreak or RedTop missiles. Of the many accidents, engine flame-outs and fires were most common. Undercarriage collapse was another repeated fault and several Lightings lost rudders. The author has provided a very good account in the body of the book, reinforced by two good photo plate sections and some informative appendices with a glossary. This is a very readable account of one of the most innovative jet aircraft that inspite of its safety record is a commendable British design that stretched the frontiers of high speed flight in an aircraft that was regarded highly by its pilots for its control and performance.